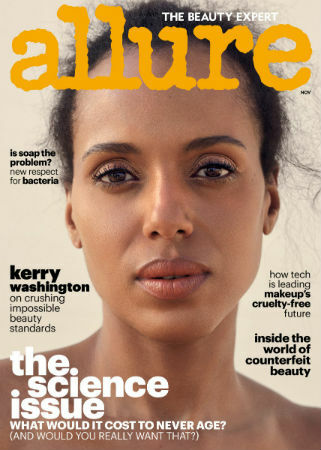 –Kerry Washington looks stunning on the cover of Allure. Meanwhile, she’s producing a new TV show for Facebook. -RED ALERT! Prince Harry has taken Meghan Markle to the palace for tea with the Queen! -Has Anna Faris moved on from Chris Pratt? She’s been spotted enjoying dinner dates with cinematographer Michael Barrett. -Speaking of being spotted looking cozy, Shailene Woodley seems to be enjoying her time with rugby player Ben Volavola. -Seeing Sandra Bullock happy makes me happy. –Ben Affleck‘s image rehab efforts just got dialed up to 11: there are photos of him with a stray puppy. -Aw nuts. Nicholas Brendon (who played Xander on Buffy) is back in the news again, this time for being arrested for violating a protective order and felony domestic violence after an alleged attack on his girlfriend. -It what may be the worst non-apology I’ve seen in a long time, David Cross now says he was probably doing his “Southern redneck character” when he met Charlyne Yi. -The New Yorker offers an inside look into what it was like at the Weinstein Co. on the days both exposés were released. Staff members are now asking for every NDA — including theirs — to be dismissed so everyone can speak openly. -Meanwhile, this is a great article on how Hollywood must go some much further than just stopping one man. –Natasha Lyonne is the latest actress to come forward with a story of assault. -I think me and Netflix’s Marvel shows are on a break, but I must admit that the trailer for the new season of The Punisher is very well done. –Penn Badgley is finally talking about Gossip Girl in a way that makes it sound like he’s not totally ashamed of it, which is new. He still doesn’t understand how his character was Gossip Girl, though. Same, sir. –Shia LaBeouf has been found guilty on one count of obstruction stemming from his July arrest. –Jake Gyllenhaal playing with a little kid in the new CK ad is making my ovaries shiver. -The director of The Snowman, which opens this weekend and stars Michael Fassbender, has spent the whole press tour talking about how terrible the movie turned out. –Frances McDormand​ confronts Woody Harrelson in a scathing new clip from Three Billboards, my favourite movie at this year’s TIFF. -Speaking of movies that people at TIFF loved, the first teaser for I, Tonya has landed, with Margot Robbie playing Tonya Harding.